We've taken several short trips so far this year but I realized I haven't mentioned them much here on the blog. So it's time to fix that! Back in December we took a drive back to Lexington, Kentucky for a few days for Matt (the Beer Baron)'s birthday. He had a fantastic time at Beer School at the Beer Trappe where he tried plenty of beer and met some friendly locals. 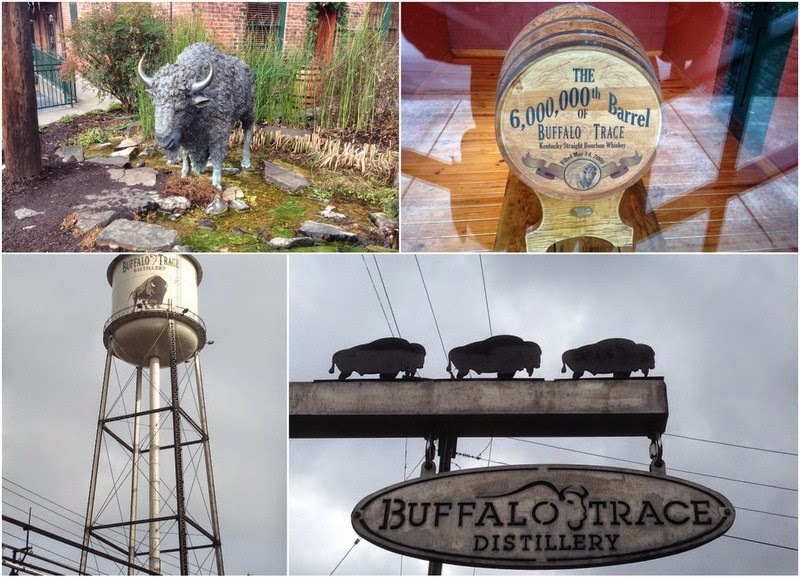 We toured Buffalo Trace and Woodford Reserve bourbon distilleries and had some great bourbon cocktails, detailed here. We also had some fantastic food at the Village Idiot and our favourite, Doodles where we enjoyed brunch last spring. We returned to Country Boy brewery which is still Matt's favourite in Lexington, but also tried some new breweries. Blue Stallion Taproom has a beautiful venue and extremely friendly service. Ethereal Brewing is part of a new complex in the Distillery District that is just being revitalized. After a great trip to Lexington, we've kept it to day trips and overnight trips since then. I've taken a couple of trips to Detroit lately, which is always fun. The first was a girls trip to see a show and do some shopping. 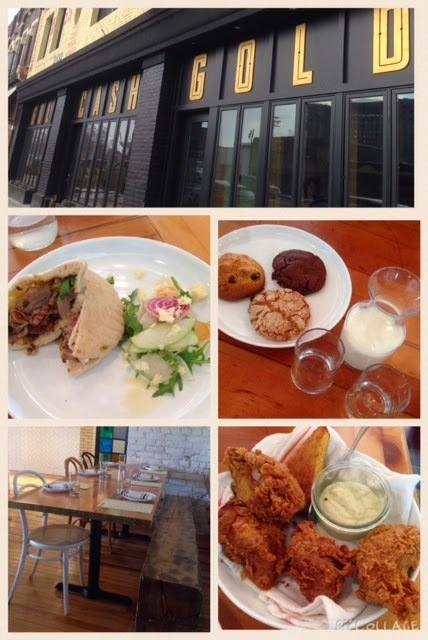 We had lunch at a restaurant I'd been dying to try called Gold Cash Gold in Corktown. The restaurant is in a gorgeously restored pawn shop. Look at these windows! I had a delicious cocktail and shared some fried chicken and a lamb sandwich, and even had some warm cookies with milk for dessert. My next Detroit trip was a couple of weeks ago to see a show at the historic Fillmore theatre. We stayed at a brand new hotel, Aloft at the David Whitney. We loved the Aloft we stayed at in Asheville and this hotel was perfectly located across the street from the theatre. The hotel just opened in this historic building with a gorgeous atrium. Our room overlooked the baseball stadium. The hallways are marble and the rooms doorways look like old offices. It is great! We finally got to visit the new(ish) HopCat Detroit after falling in love with the original in Grand Rapids, Michigan. There are so many fantastic restored buildings in Detroit and this is another gem. It is beautiful inside and the staff is fantastic. We had great local beer and cider and crack fries. After Detroit we tried a new brewery in Windsor called Brew. They have some nice beer and outstanding pizza. While in Windsor we also had wonderful coffee at Salute Espresso Bar where they press their own almond milk! Finally, just a couple of weeks ago we went to the Guelph Cask Beer Festival. It was a small festival but there was plenty of great local beer to try. We visited the Woolwich Arrow for a great lunch and I tried a local kombucha. We checked out Royal City Brewing (love their labels!) as well as the usual Guelph stops, Wellington and StoneHammer brewing. We also made a stop in St. Jacobs at the new Block Three Brewing Co., which has a nice location in the centre of the old town. It's amazing how much great food and beer there is within a few hours of home!